Welcome to the official website for CUPID’S RESORTS, locally owned and managed. As natives to the Goans shores, we have been providing travelers with a warm welcome and a comfortable stay for three generations. We’re passionate about Goa’s rich history, sharing our local culture and offering the best in hospitality!. CUPID’S RESORTS offers three options for accommodation, CUPID’S HEAVEN RESORT in quiet Agonda Beach Paradise and CUPID’S CASTLE RESORT on the famous Palolem Beach and CUPID’S BEACH HUTS on Agonda Beach. So please visit our official site www.cupidsresort.com/ www.goacupidtraveler.com/ www.agondabeachresort.com or facebook : cupidheavengoa@yahoo.com and Orkut: Cupidheavengoa@yahoo.com for the latest picture of the surroundings Agonda Beaches or information before you plan to make your holiday. Agonda Goa draws traveler seeking uncrowded beaches of South Coast of Goa Beach, a former Portuguese Colony Goa is now the small states in India known for its beaches and historic colonial Architecture. CUPID’S HEAVEN RESORT is bang on the Agonda Beach and boasts of the same quality service and ambience of its “sister” concern, CUPID’S CASTLE located at Palolem Beach. The atmosphere, however is very “laid back” as the hotel on the quiet & less frequented AGONDA BEACH which is much in demand particularly with European visitors seeking a “get-away” from the helter, shelter of a stress-filled life!! Cupid’s Heaven Resorts Agonda is the Heart and Soul of Agonda Paradise Beach and Boasts of same quality service and ambience of its sister outsits cupid’s Castle Palolem and Cupid’s Beach I lots in Agonda Paradise Beach. Joncy The Goan owner believed that Goa beauty is not only the beaches but there is lots of things to see inside Goa as he organize Tour to inside Goa to satisfy to know that what Goa is all. Joncy is the proprietor of Cupid’s Resorts. After traveling the world as a chef aboard a holiday cruise liner, Joncy returned home to take over the family business. Always the hands-on manager, Joncy is available by phone on +91 09822148978 or +91 9158057200 for any questions regarding your stay. 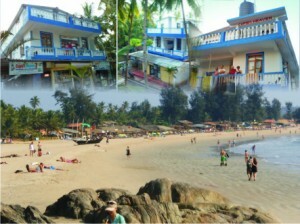 Taking pride in the rich cultures of Goa, Joncy offers a wealth of knowledge about your holiday destination. Rest assured, if you’re looking for sites and experiences beyond the beach, you are in good hands. Resort guests receive all the information necessary for a broad and enjoyable encounter with Goan Culture! “Goa is so much more than the beaches we relax on. Between sunbathing and swimming, I invite you to experience the spots where the locals go. Look behind the scenes on a guided tour. Or go further a field for waterfalls, elephants, cooking classes and historical sites. Wherever you like, we’ll help you to get there!”. Agonda still boasts the natural beauty and quietude long lost on many other Goan beaches. The frequency of turtles’ nests on Agonda’s Shores means it is protected from being overwhelmed with business by the Indian Government. In other words, Agonda is and always will be a proper holiday escape! Forget the stresses and worries of the working life and sit back and enjoy the beach vibes. 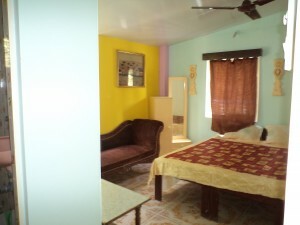 You’ll find your hosts and the neighborhood proprietors friendly and relaxed.